"The Pokemon Train Keeps On Rolling..."
For years now the Pokemon series has been Nintendo's key cash cow. In fact it's become such a global phenomenon that popular opinion has it that the Gameboy Advance and Pokemon are the only things keeping Nintendo solvent in the face of the rapidly failing Gamecube. With the help of some rather ingenious marketing the world has been flooded with just about anything you could put a Pokemon label to. We've had everything from lunch boxes to feature length movies and everything in between. So where do you go once you've sold 10 million units of the latest Pokemon brand toothpaste? The answer is pinball of course! So with that rather strenuous leap of logic behind us we are now presented with the latest ''Video Pinball'' title for the Gameboy Advance, Pokemon Pinball: Ruby and Sapphire. Having played this game for many hours, I'm left pondering one question... Who was this game made for? The majority of Pokemon fans are under the age of 10 while those of us who remember pinball for what it was are well into our late 20's and 30's by now. That being said however Pokemon Pinball seems to accomplish the impossible by melding these 2 quite foreign concepts into a cohesive whole. Graphically this game is on par with the other video pinball titles available on the Gameboy Advance. Graphics are nicely detailed and manage to convey the established look and feel of the Pokemon world as it would appear on a pinball table. 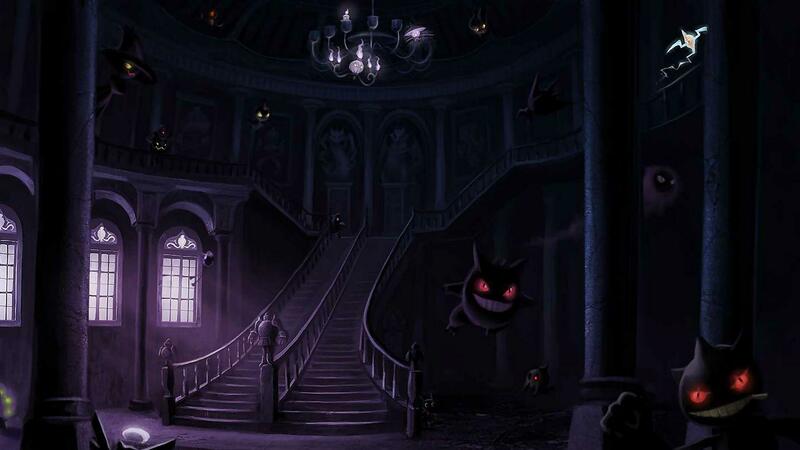 Similar designs seen in the Pokemon series of games and animations can be found through out this games presentation. The ball has been modeled on a Pokemon capture ball and wild Pokemon wander the table while you're playing. The kick back action is in fact a Pikachu electricity blast... fans will definitely appreciate the little details. There are 2 differently themed pinball tables available for selection. Both Ruby and Sapphire tables are well layed out and once you learn where certain bonuses and mini games are held, the game flows smoothly as only the best pinball games should. The key point of this game however is not to ''rack up'' a killer score, your goal here is to capture Pokemon and with 200 Pokemon up for grabs, you'll be at it for a while. Pokemon can be captured and then eventually evolved by accomplishing certain tasks in the game. This usually consists of making a series of shots within a time limit before hammering the exposed Pokemon with the ball. Once captured the Pokemon may be entered into the Pokedex for later viewing and evolution. High scores are nice but once you're in, you'll only really care about catching them all. It's a very unique take on the ''gotta catch them all'' theme and it works amazingly well as a pinball game. Sound... what can be said about something so inoffensive? It works? It won't give you a headache? All the above? It's not that its bad, it's just not that great either. At least the SFX of the pinball table are well represented with the usual assortment of pings and bangs being nicely sampled. There are also some worthy sound grabs from the other games and animations available for the fans to enjoy.